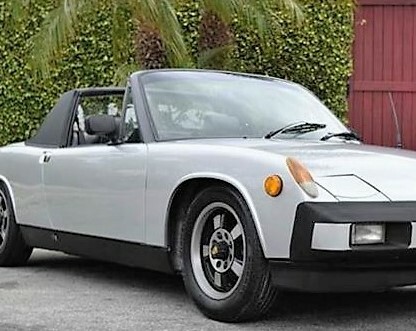 At a recent Porsche club gathering, the talk was all about 914s as a number of the low, lean mid-engine sports cars from the early ’70s rolled into the parking lot to join the early 356s and 911s. 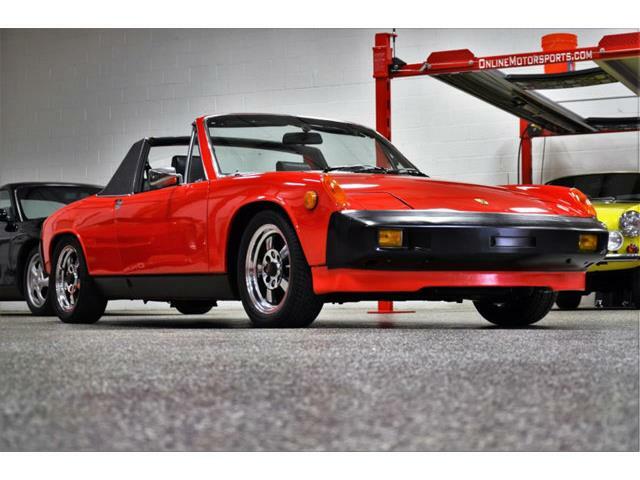 Once the red-haired stepchild of the vintage Porsche community, the 914 has gained respect in recent years during the general run-up of Porsche values. 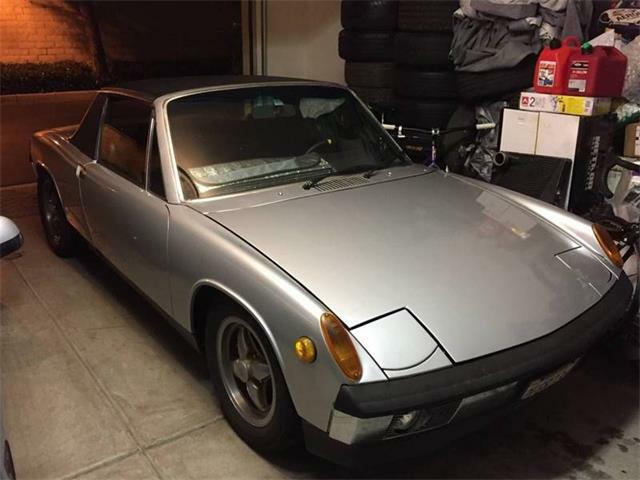 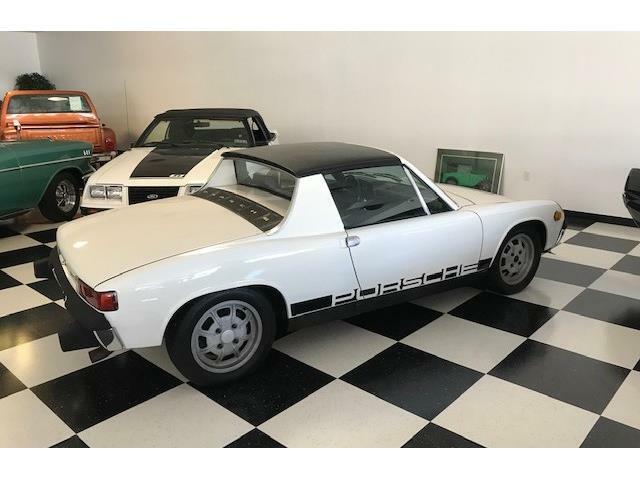 Pick of the Day is a 1976 Porsche 914, the final year of production for the entry-level model, which is powered by the desirable 2.0-liter fuel-injected boxer engine rated at 91 horsepower, which provides brisk performance for the 2,100-pound targa-topped car. 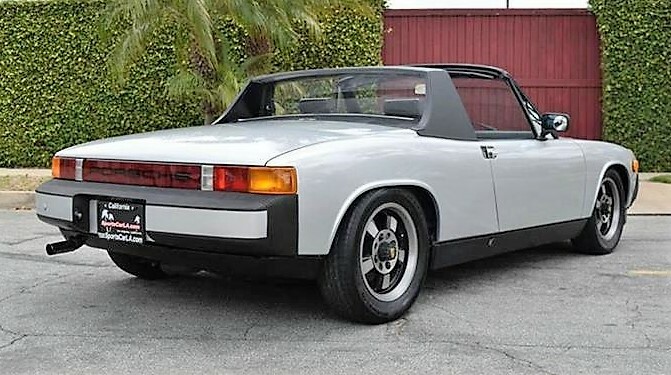 The 914 was controversial from the start when it appeared at Porsche dealerships in 1969 as the replacement for the four-cylinder 912. 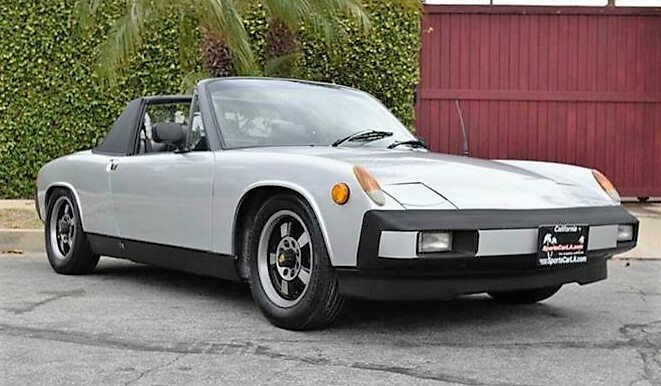 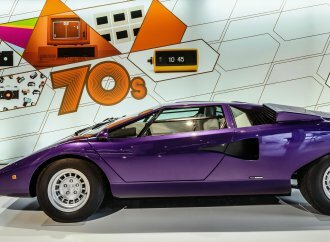 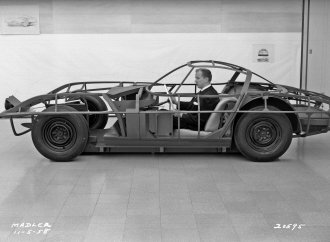 Markedly different from the rest of the lineup with its squared-off styling and ground-hugging profile, and powered by an air-cooled engine derived from the Volkswagen Type 4, the 914 had a tough time proving it was a real Porsche to the diehard faithful. 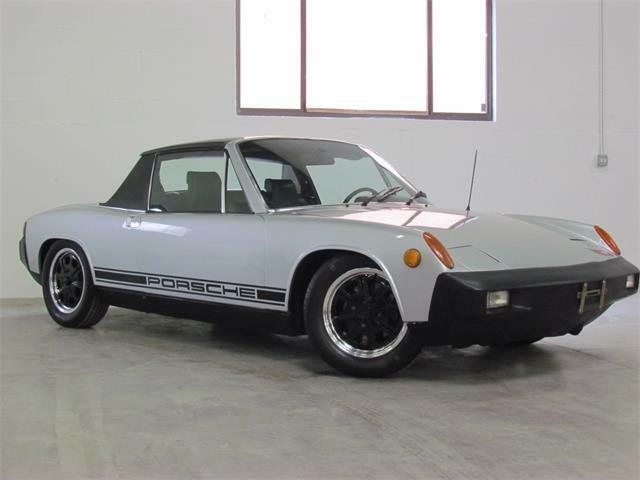 But there was no disputing the 914’s exquisitely balanced handling, nor its mid-engine lineage from Porsche’s famed race cars. 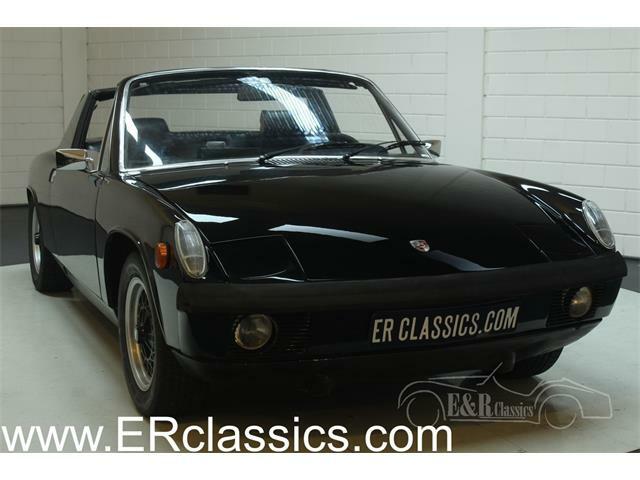 The 914s proved popular, although the pricey six-cylinder model, the 914/6, was withdrawn after a couple of years. 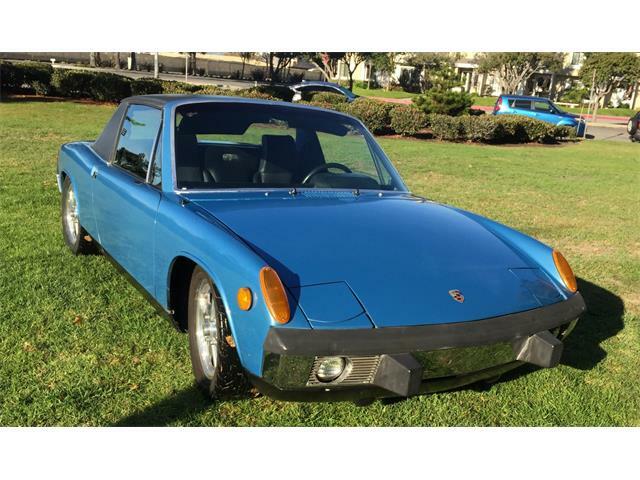 These days, the 914 has shed its shame and has even found a place on the show field of prestigious concours events. 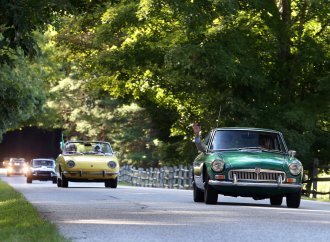 And the ones that rolled into last weekend’s Porsche gathering were unabashedly admired. 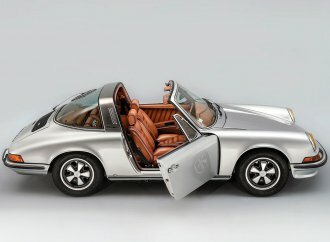 This good-looking example seems to have all the right buttons pushed, looking right in bright silver with a black interior. 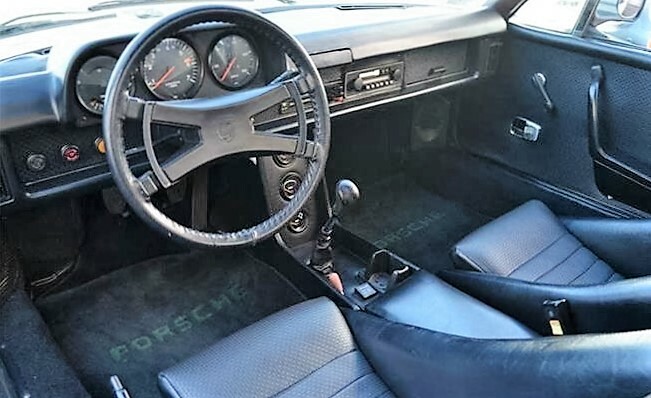 With just over 37,000 miles on the odometer, the Porsche “has an excellent gearbox, synchros and a strong engine,” the California classic car dealer says. 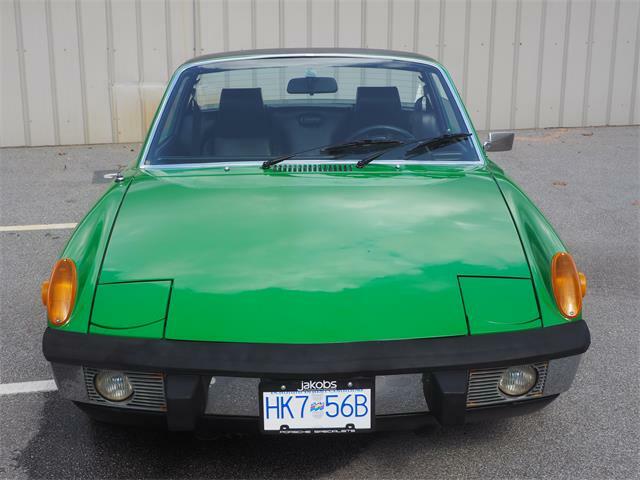 The 914 has been treated to a high-quality repaint, the dealer says, but is otherwise in original excellent condition and drives well. 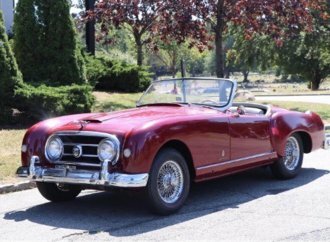 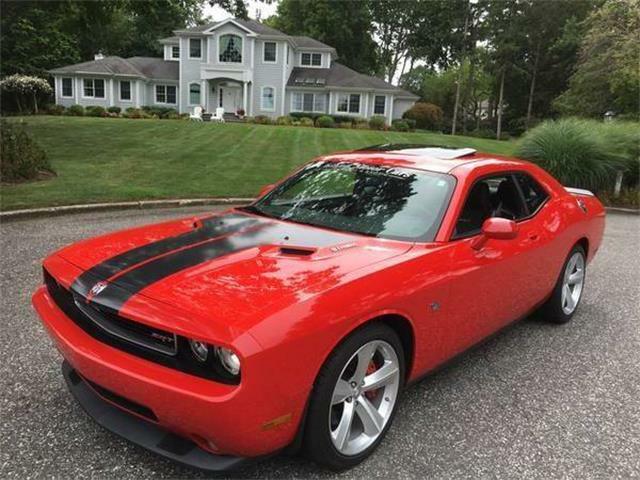 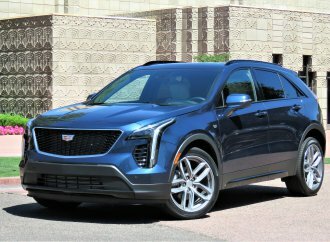 The five-speed transmission allows for relaxed freeway cruising, the seller adds. 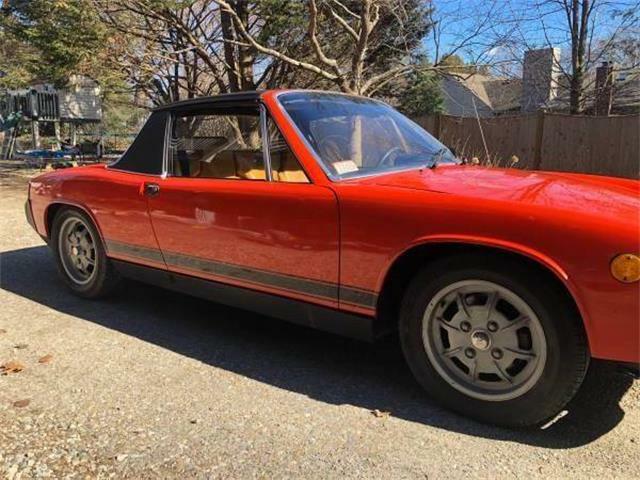 While 914s have gained some status, they are generally still affordably priced, with this apparently fine example for sale at just $21,500. 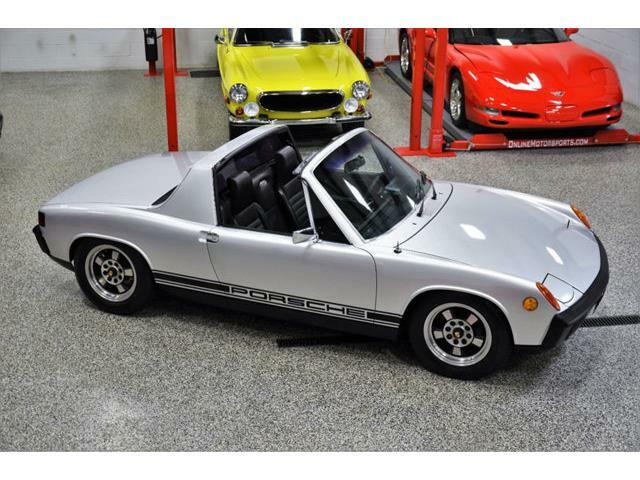 Or as they say in the ever-changing collector car market: Get ‘em while they’re still cheap.